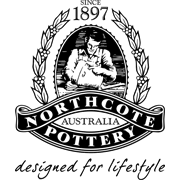 Northcote Pottery’s urbanLITE collection features a range of lightweight designer pots and feature pieces for today's urban environment. Designed for functionality, these pieces are hand-made using a unique combination of clay and fibreglass, making them durable and easy to manoeuvre. Plus they are available in a stylish range of colours, styles and sizes to suit any modern decor.